The Ethiopian Airports Enterprise (EAE) is planning to construct three new airports in Ethiopia. The project is expected to cost US$ 64.5m. A contract of agreement was signed Friday last week between EAE, Yotek Construction, Akir Construction and the Ethiopian Road Construction Corporation for the construction of airports in Hawassa, Robe Goba and Shire. Civil works for the project are to start this week with the construction of runways in the first phase of the project. The construction of the terminals of Hawassa and Robe Goba will then begin before the year ends and Shire’s terminal will be constructed as from next year. The airports are to be ready within a period of two and a half years. 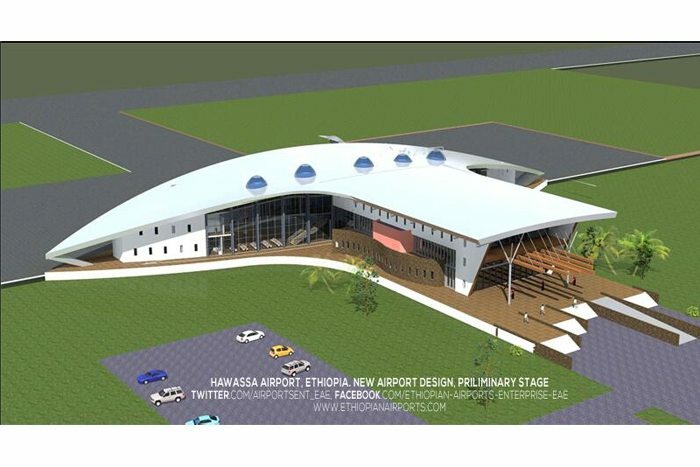 YOTEK will be charged with the construction of the Hawassa Airport at an initial cost of US$ 23m. The Robe Goba airport will be constructed by Akir Construction at a cost of US$25m while Shire Airport will be constructed by Ethiopian Road Construction Corporation at a cost of US$ 21m. The three airports will contribute significantly to the economy of the regions since they are well known for tourism and business. Ethiopia has also planned to undertake other construction projects and has issued a sovereign bond worth US$1bn in order to finance the construction of the Grand Renaissance Dam – an undergoing project.